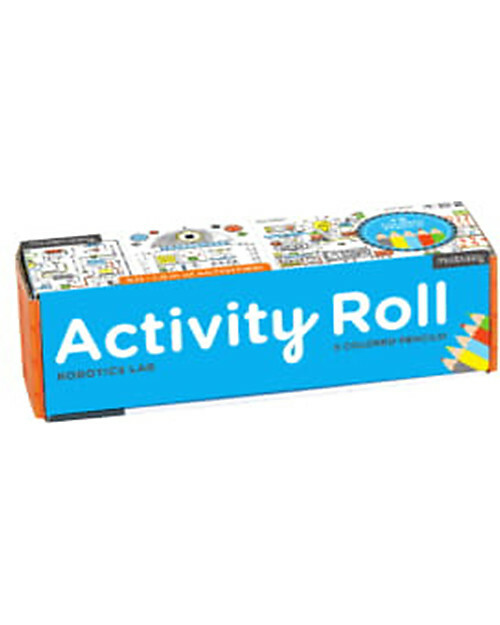 Activity Roll, Robotics Lab - Recycled Paper! 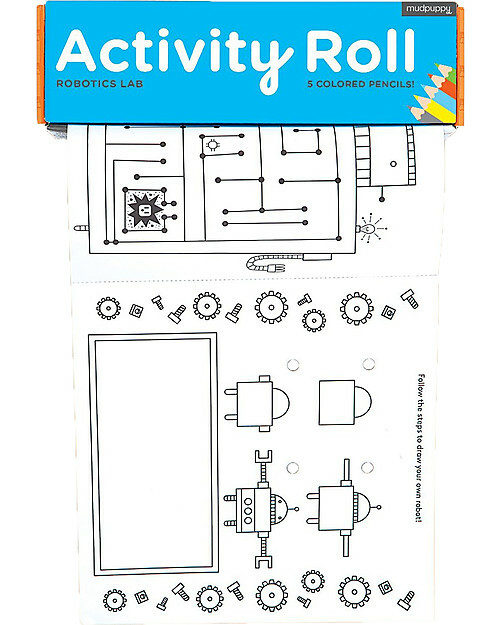 Finally a travel friendly companion to entertain boys for hours of fun: the activity roll robotic lab by MudPuppy! Almost 2 metres long, it is full of games and colour-in design! 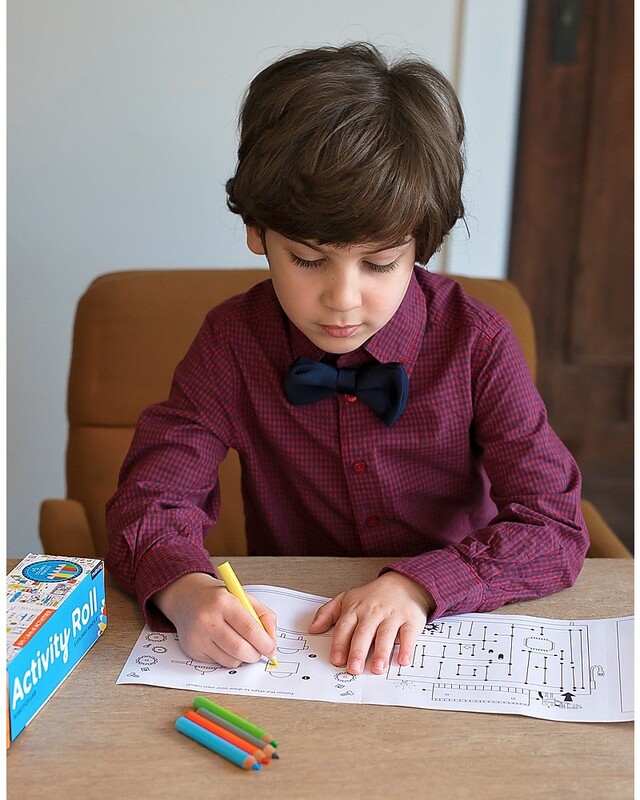 Furthermore it includes 5 colored pencils, to let him have so much fun drawing and writing in this ingenious pack! 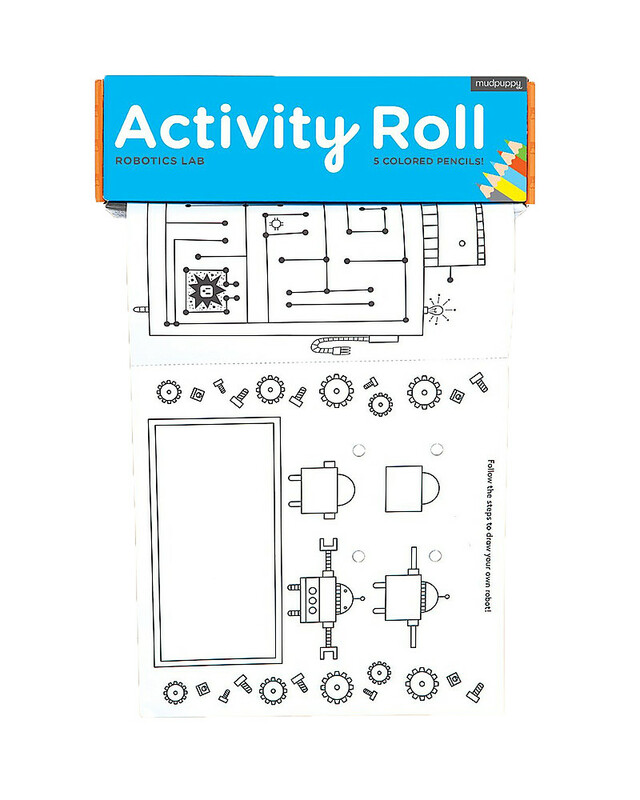 Printed on 80% of recycled paper, this super fun activity roll will facilitate both adults' and little ones' creativity, taking them on the magic world of robot! And when it's done, simply roll up back into the box or cut each activity thanks to the perforations! A great gift idea to ignite children's imagination whatever the location! From 1992 MudPuppy has won more than 200 awards specializing firstly in puzzles, and later in educational games, diaries and activity rolls. The brand creates original and innovative products; a great visual stimuli for little ones! These rolls are created with 80% of recycled paper, respecting the environment. 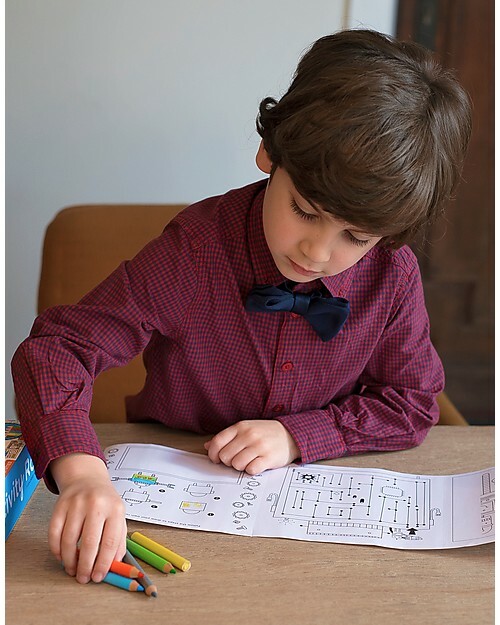 The products all facilitate creativity and imaginative thinking and they are perfect to get involved the whole family!